NEW TERM STARTING IN JANUARY 2019. Friendly, fun and enjoyable language training in very small groups. 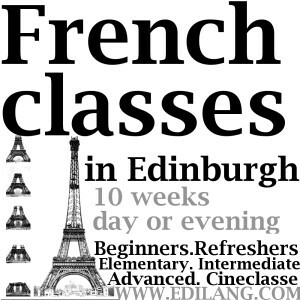 Contact Lise today on 0131 667 3999 or by email for more information, to register your interest, or to buy someone a gift voucher to learn French! 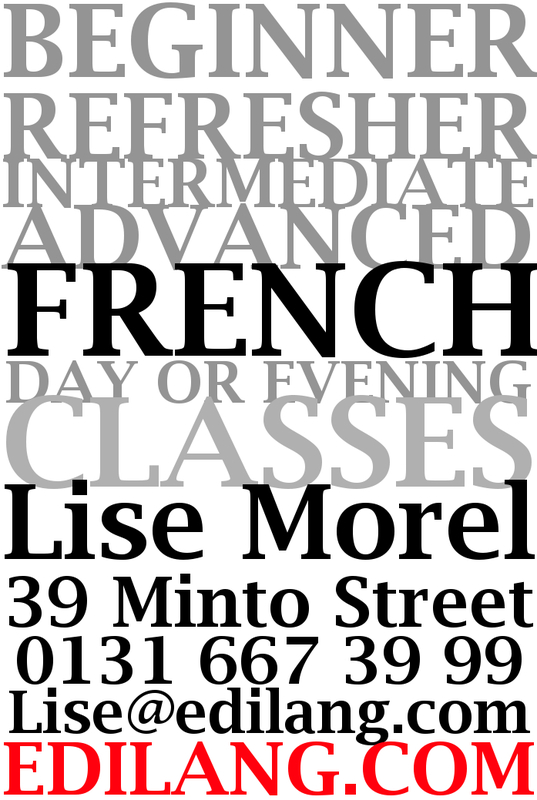 Lise Morel T/A Premiere Classe provides language services in Edinburgh. Lise can assist locally with all your linguistic requirements, be it a translation or to learn a little French for your next holiday, or to develop a long term project for your company in French and other languages. With our small, adaptable structure, we can respond effectively and efficiently to your needs and requirements. Contact us today, by email or phone on 667 39 99 to find out more about what we can bring to you! Please feel free to look at recommendations on Lise Morel’s LinkedIn profile. ›‹ Are you a fluent French speaker? RSVP Join the French meetups latest event, for beginners who want to practise conversation with a twist!